His statements emphasize the worldwide acceptance of gold as a highly liquid, protective asset. This is true both for individual investors holding gold and central banks of major countries. Due to its long-held, widespread recognition as a unit of exchange and a store of value, gold can be easily bought and sold almost anytime, anywhere. 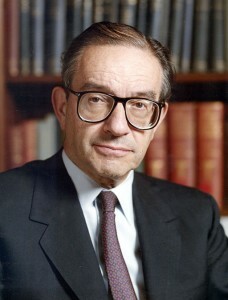 To read more of what Greenspan has to say about gold, see the entire article. If Greenspan’s words on gold have you thinking about taking steps to protect your wealth, consider adding physical gold and other precious metals to your retirement portfolio by opening a Gold IRA. Call American Bullion today at 1-800-326-9598 to speak with a precious metals specialist.